Greece still needs to reform the structure of its taxes and spending because both are highly unfriendly to growth and equity. Greece is once again in the headlines as discussions for the second review of its European Stability Mechanism (ESM) program are gaining pace. Unfortunately, the discussions have also spurred some misinformation about the role and the views of the International Monetary Fund. 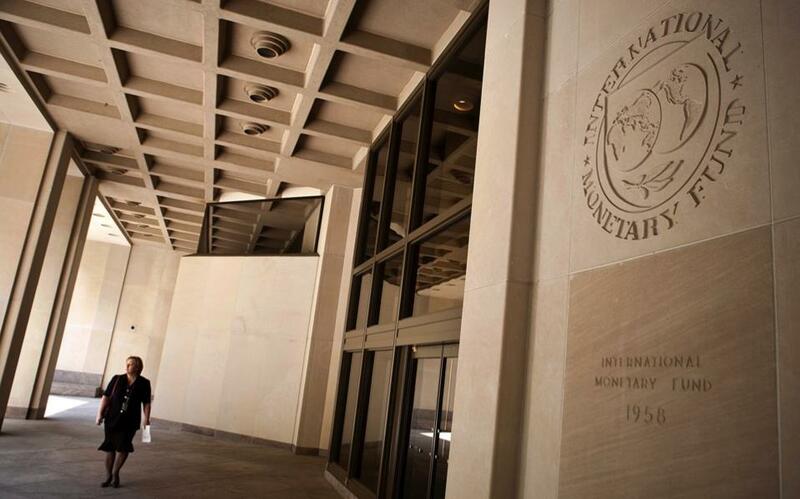 Above all, the IMF is being criticized for demanding more fiscal austerity, in particular for making this a condition for urgently needed debt relief. This is not true, and clarifications are in order. The IMF is not demanding more austerity. On the contrary, when the Greek government agreed with its European partners in the context of the ESM program to push the Greek economy to a primary fiscal surplus of 3.5 percent by 2018, we warned that this would generate a degree of austerity that could prevent the nascent recovery from taking hold. We projected that the measures in the ESM program will deliver a surplus of only 1.5 percent of gross domestic product, and said this would be enough for us to support a program. We did not call for additional measures to achieve a higher surplus. But contrary to our advice, the Greek government agreed with the European institutions to temporarily compress spending further if needed to ensure that the surplus would reach 3.5 percent of GDP. But this does not mean that there is no further work for Greece to do on the fiscal side. Greece still needs to reform the structure of its taxes and spending – how the government raises its money and what it spends it on – because both are highly unfriendly to growth and equity. But the point of the measures we are calling for is not to generate more austerity and a higher primary surplus. To the contrary, the gains from these reforms should be used fully to increase spending or cut taxes to support growth. In our view, reforms like those we propose are indispensable: We do not believe that Greece can come close to sustaining even a modest primary surplus and realize its ambitious long-term growth target without a radical restructuring of the public sector. This should not – and cannot – happen overnight, but it is critical that a plan to create a more growth-friendly and equitable structure of the public finances over the medium term is adopted now. Why is the currently agreed budget unfriendly to growth? While Greece has undertaken a huge fiscal adjustment, it has increasingly done so without addressing two key problems – an income tax regime that exempts more than half of households from any obligation (the average for the rest of the eurozone is 8 percent) and an extremely generous pension system that costs the budget nearly 11 percent of GDP annually (versus the average for the rest of the eurozone of 2.25 percent of GDP). Instead of tackling these difficult problems, Greece has resorted to deep cuts in investment and so-called discretionary spending. It has done so to such an extent that decaying infrastructure is hampering growth and the delivery of basic public services such as transportation and healthcare is being compromised. Greece’s economy needs far-reaching modernization across the board. Above all, Greece does not have the kind of unemployment compensation and other well-targeted social benefits that are commonplace elsewhere in Europe and that are critical for broad social support in a modern market-oriented economy. A case in point is the government’s reluctance to lift the restriction on collective dismissals – an outdated pre-approval requirement that does not exist in most other European countries. Its hesitation comes not because the dismissal restriction is a good idea in itself, but because Greece has no adequate unemployment compensation. Rather than provide support to dismissed workers, the government instead restricts the ability of firms to dismiss them. Simply put, Greece cannot modernize its economy by boosting funding for infrastructure and well-targeted social programs while exempting more than half of households from income taxes and paying public pensions at the level of the richest European countries. What are the implications for debt relief? Greece’s debt is highly unsustainable and no amount of structural reforms will make it sustainable again without significant debt relief. Similarly, no amount of debt relief will allow Greece to return to robust growth without reforms. But since the higher the primary surplus that Greece maintains, the lower the amount of debt relief to ensure debt sustainability, the question is how to distribute the burden between Greece and its partners. We have suggested that the primary surplus target used to calibrate debt relief be set at 1.5 percent of GDP. But we recognize that member-states’ reluctance to accept this (and the resulting additional need for debt relief) is rooted in the reality that some of them will themselves have to run higher primary surpluses than proposed for Greece, while others provide less generous pension benefits and tax exemptions than does Greece. The eurozone is not a full political union, and we realize that a solution will have to be politically acceptable to 19 sovereign member-states. A compromise between the Greeks and their European partners may therefore have to involve a higher primary surplus for a while, although this would not be our first choice. But while we can be flexible for the short term about how the burden is divided between the Greeks and their European partners, the solution needs to add up in a credible manner. Having argued above that not even a surplus of 1.5 percent of GDP is consistent with strong growth without pension and tax reforms to make the budget much more growth-friendly and fair, it should be obvious that pushing the budget to a surplus of 3.5 percent of GDP will take an even larger toll on growth. It will reduce demand in the short run – which is why we would in any case not recommend increasing the surplus above 1.5 percent of GDP until the recovery has taken better hold. And it will weigh on medium-term growth by delaying the onset of the needed implementation of a more growth-friendly budget. Thus, an open-ended long-term commitment to very high surpluses is simply not credible. Moreover, credibility also requires that the additional measures needed to push the surplus beyond 1.5 percent of GDP are legislated upfront to leave no doubt about Greece’s political resolve to overcome the resistance from vested interests that have hampered program implementation in the past. In conclusion, it is not the IMF that is demanding more austerity, either now or as a means to lower the need for debt relief over the medium term. Or to be more direct, if Greece agrees with its European partners on ambitious fiscal targets, don’t criticize the IMF for being the ones insisting on austerity when we ask to see the measures required to make such targets credible. * Maurice Obstfeld is the economic counselor and director of research at the International Monetary Fund, on leave from the University of California, Berkeley. Poul M. Thomsen is the director of the IMF’s European Department. He is currently in charge of the IMF’s programs with Greece and Portugal, and also oversees the work of other country teams, including Iceland, Romania and Ukraine.